When I asked Riga Jewish Museum curator Lia German if she had a message for other Jews, she said, “I have no message. If they want to know about us [Latvian Jews] they can come here.” As she stated, I was in the Latvian capital to know about a part of my heritage. Lia's message hangs on the walls of the museum in the form of a small but moving tribute to the victims of the war which she helped collect and translate. Downstairs in the foyer, Lazers Bindeman, a former Russian soldier, considered some photographs. He was in his native city to visit his family, though not a reunion filled with merriment. His mother and three brothers are in the cemetery. They were killed by Germans in World War II. ”The conditions during the war were very bad,” he explained, “I don't know how anyone survived.” Considering the barbarous events of the war, it is indeed a wonder. The Jewish history of Riga reaches as far back as the 13th century, but it wouldn't be for at least 200 more years that Jews would make an economic impact. In the early 14th century, he Master of the German Order ruled that Jews were banned from settling the region. In 1561, when the Polish gained control of the territory, Jews slowly began to settle. In the 15th and 16th centuries, only the most prominent Jews were allowed to live in Riga, but were confined to Judenherberge, or special inns. They were banned from being buried within city limits, therefore Jewish dead were taken to cemeteries in Poland until 1725, when permission to build a cemetery finally came. By the mid-18th century, there were still only a couple hundred Jews in Riga. In the 18th century, rules binding Jewish movements in the city were relaxed and Jewish residents started to appear. Of those first tenants there were skilled craftsmen, producing the finest shoes, furs, and furniture. Intellectuals led the way in finance, medicine, and law. But whilst a fair number of Jews prospered, many others were vagrants. 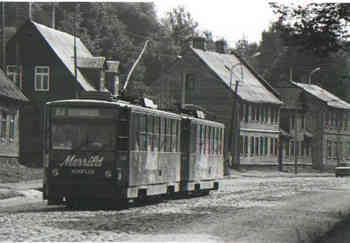 The Jewish community was centered in Maskavas, a ghetto just southeast of Old Town. During World War II, the Nazis destroyed most of Maskavas, leaving few remnants of early Rigan Jewish history. By 1824, there were 513 Jews registered in Riga and by 1897, there were more than 20,000, which was approximately 8 perecent of the population of Riga. Though the number was small, it was nonetheless significant. (That number would peak in 1935 at 43,672, more than 11 percent of the city's inhabitants. By 1944, it was cut to 150.) Partway through the 19th century, housing restrictions were lifted and many Jews left Maskavas for other parts of the city. In the late 1920s, Riga became the center of the global Lubavitch movement due to its leader, Joseph I. Schneersohn, receiving citizenship and protection by the Latvian government after being exiled from the Soviet Union. In the early part of the 20th century, Jews were charged for provoking riots by the enemies of the revolutions of 1905 against Tsar Nicholas II, and again during the Bolshevik Revolution of 1917. Supporters, on the other hand, blamed Jews for the failures. After the Germans invaded Riga, the balance of political power was destabilized and again Jews were reproached. The peace which followed would be short lived, as the rise of Hitler loomed forebodingly on the political horizon. When the Red Army entered Riga in June 1940, many Jews scrambled to the USSR, for faith in the West was lost. During this period, Jewish leaders were arrested and deported to Siberia and never returned. Lia German and her family were some of the lucky ones. When war broke out in June 1941, they went to Semipalatinsk, Kazakstan. “It was a long, uncomfortable journey. But we lived okay there,” she told me. “My mother worked for the Latvian ministry, so she came back to Riga about a year before me. And then one day (in 1944) she just telephoned me and said, Œlia, come back to Riga. '” At 19, she entered the Institute to study philology, a perfectly suitable topic for a girl who grew up surrounded by German, Yiddish, Latvian, Russian, and Hebrew. Only about 150 Jews from Riga survived the Holocaust. Riga's religious life is led by Rabbi Nathan Barkan, the chief rabbi of Latvia. In the past few years, most notably since 1992, striking changes have occured in the Jewish community. The Ohel Menachem Kindergarten and Day School opened in September 1995, providing education in both Judaic and secular studies. A yeshiva for advanced Jewish studies opened in January 1992. There is also Jewish school for teens. Since August 1993, Chabad has organized summer youth camps. Kids have been preparing for Bar and Bat Mitzvahs since February of that same year, and moreover, are encouraged to learn about their heritage. Men and women, too, are actively courted to participate in religious studies which aim to rekindle and enhance a long dormant Jewish way of life with import and relevance in a newly emerged Latvia. Since March 1992, the soup kitchen has provided some forty hot meals a day in a cozy atmosphere for those elderly members of the community who cannot survive on their pensions. The kitchen serves up an additional 300 meals a month for those who are homebound. In 1998, the Center for Judaic Studies was founded. Located at the University of Latvia and headed by Professor Ruvin Ferber, the center offers classes on Jewish history, tradition, and philosophy. The Peitav Shul escaped destruction by the Nazis because of its architecture. Wedged between two other Old Town buildings, the Nazis decided against burning it down as they did to the rest of Riga's synagogues, due to its close proximity to the neighboring buildings. 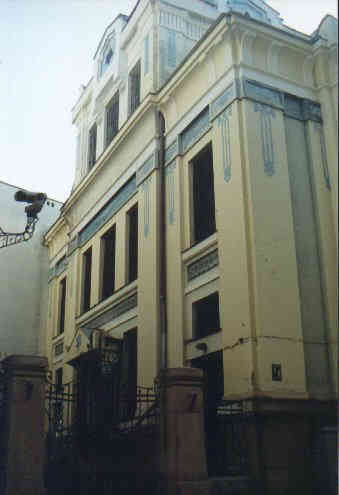 The synagogue served as a warehouse and horse stall until the end of the war. The ghetto is situated about one kilometer to the southeast of the old city in a three-quarter square-kilometer area known as Maskavas Forstate. Little remains of the area's once vibrant Jewish character save for a legion of derelict wood and brick buildings and a few memorials to the victims of the holocaust. Still, a walk through the area is rewarded with stops at such places as Die Greise Hor Shul, The Big Choral Synagogue, on Gogola Street, which was completely destroyed on 4 July 1941. 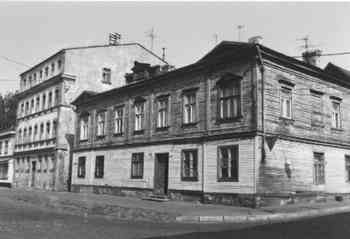 On that morning, about 300 Lithuanian Jews were rounded up and taken into the basement of the Big Choral Synagogue. Nazis threw grenades at the shul's windows and burnt down the building, leaving no one left alive inside. Such was the fate of many other Jews and synagogues, a seemingly favorite means of Nazi execution. On 4 July 1988, a memorial was dedicated on the very spot. The Old Jewish Cemetery on Liksnas Street was the first tract of Jewish land in Riga; it was obtained in the early 18th century. The road leading to it was known as Hebraische Begrabnisstrasse, or Jewish Cemetery Street. The location became a killing ground in July of 1941. After the war, the cemetery was desecrated. Today, it is the Park of the Communist Brigades. Strewn all about today's Old Town are fragments of yesterday's Jewish past: Gmilas Hesed, a Jewish philanthropic society, on Stabu Street; a society for the promotion of education among Riga Jews on Abrenes Street; the first Jewish press in Riga on Peldu Street; the first secular school on Lacplesa Street; the central office of the Jewish National Fund on Daugavas Street; and a good deal more. The ruins of the Big Choral Synagogue are located at the intersection of Gogola and Dzirnavu Streets. In 1988, a large gray memorial stone was erected in its honor. Sources: Jono David. “The Jews of Riga.”Jono David Media. Reprinted with permission. Fellner, Dan. “The Jewish Traveler: Riga.” Hadassah Magazine, October 2003.